She Was About To Touch This Creature. But When She Found Out What It REALLY Was… NEVER TOUCH THIS! Caterpillars are cute little guys right? They may look so but that is not always the case. 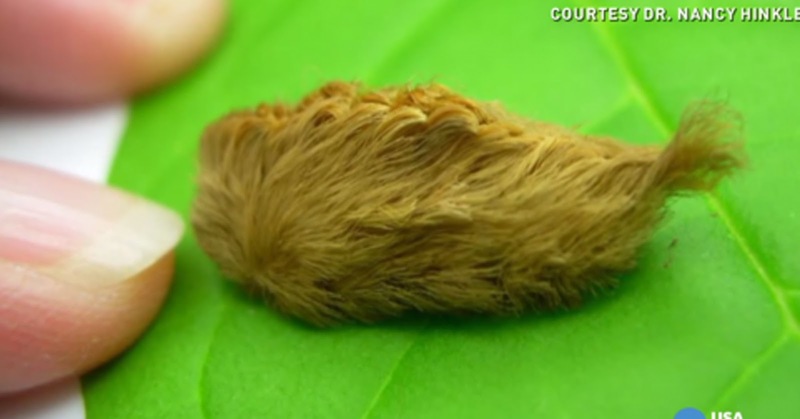 There is one particular caterpillar which is extremely cute, called the Asp Caterpillar (Megalopyge opercularis) and which has a few nicknames including tree asps, southern flannel moths or puss caterpillars. They can be found in the south eastern states of the United States. These guys look like they are covered in hair and are extremely cute. However, they are venomous and can be dangerous especially for little kids. Luckily they are mostly up in trees, however as you are about to see in the video, this is not always the case.